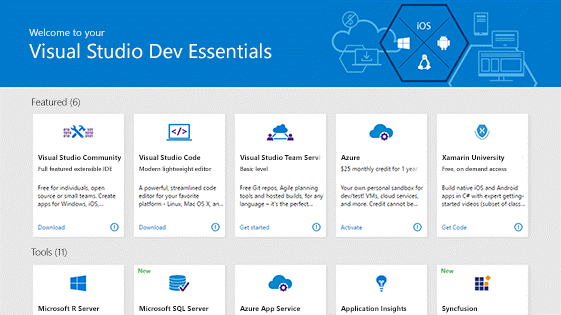 Get everything you need to build and deploy your app on any platform. With state-of-the-art tools, the power of the cloud, training, and support, it’s our most comprehensive free developer program ever. Tools to develop for any platform – for free. Tools include an extensible integrated development environment and code editors to create apps for macOS, Linux, and Windows, on PC or Mac. Free access to cloud services such as compute and storage, backend services for your mobile or web apps, services for IoT, machine learning, and analytics. Free access to software trials and downloads make it easy for you to develop for multiple platforms. Free access to community support, technical and professional training from industry leaders. 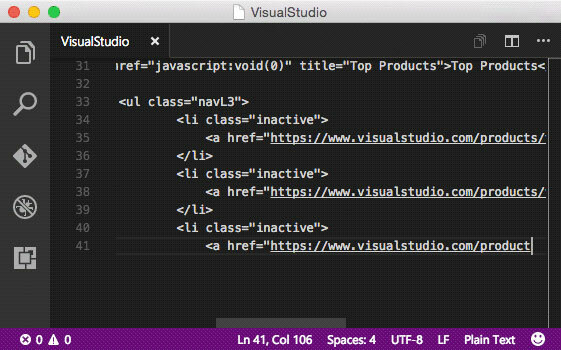 * Exclusive benefits only available through the Visual Studio Dev Essentials program.